The Securities and Exchange Board of India on Wednesday eased rules for angel investments in startups following a recommendation from a panel of experts chaired by Infosys co-founder NR Narayana Murthy. The capital markets regulator also tightened disclosure norms for private investments in public equities, or PIPE deals, to protect minority shareholders' interest, it said in a statement after a board meeting. 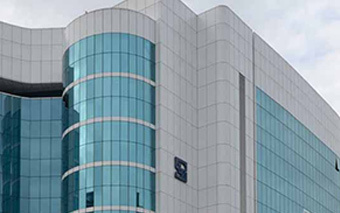 SEBI increased the upper limit for the number of angel investors in a scheme to 200 from 49, halved the minimum investment threshold to Rs 25 lakh and allowed investors to put money in firms that are up to five years old compared with three years currently. The regulator also reduced the lock-in period for angel funds to one year from three years and allowed such investors to park 25% of their funds in overseas startups, in line with other alternative investment funds. The steps will not only help Indian startups garner funds but will also encourage Indian angel investors to look for investment opportunities outside the country. The SEBI move comes at a time when startups in India have been facing a funding crunch and angel investors, who many a time bring the first funding cheque for a startup, also turning cautious. Angel and seed investments dived to this year's lowest in September, both in terms of value and volume, before rebounding in October. These steps will boost angel investment in startups and greatly help startup founders looking for small-volume funding, said Nishit Dhruva, managing partner at law firm MDP & Partners (Advocates & Solicitors).